This was an upstream view of the Mississippi River between Lake Street and Franklin Avenue in Minneapolis-St. Paul, Minnesota. 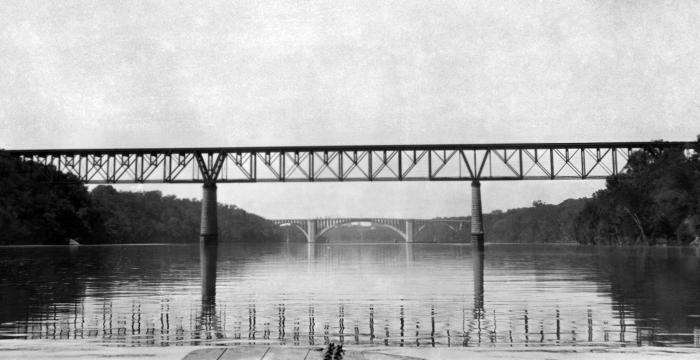 The Franklin Avenue Bridge was in the background of this June 3, 1933 photograph. Far view of gravel injection site below bridge. Vegetation along the banks of the John Day River under cliffs near Bridge Creek.